The father of organic architecture turns 150 years old in June. 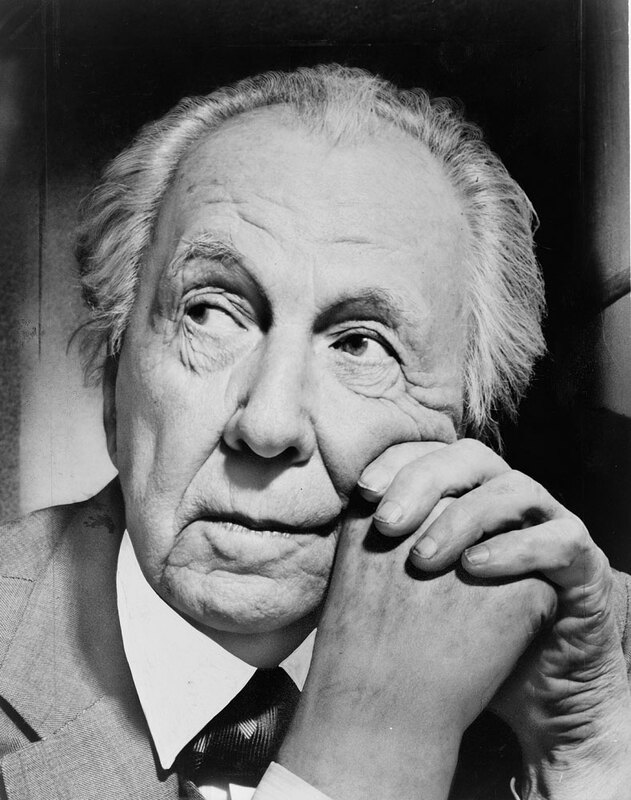 The impact of interior designer, architect, writer, and educator, Frank Lloyd Wright can still be seen today. Having designed over 1,000 structures in his lifetime, the work of Frank Lloyd Wright has made a lasting impact on architecture and design. In celebration of his 150th birthday, we are pleased to present a new 3Doodler Create Project Kit for Wright’s signature example of organic architecture, Fallingwater. With 532 completed structures over the span of a 70-year career, Frank Lloyd Wright has become an icon of American architecture. Twelve of his buildings are listed amongst Architectural Record’s hundred most important buildings of the century. Wright firmly believed that architecture was “the mother of all the arts,” and approached each design with this intensity of conviction. His aim to was to reflect the landscape, people, culture, and feel of America within his own designs and architecture. With dramatic new shapes and designs, Wright developed what he called “organic architecture”, representing what he saw as the harmonious connection of the citizens of the United States with both each other, and to the land they call home. As such, his homes center around shared spaces such as the dining table, music rooms, and terraces to encourage a sense of community and closeness to both family and nature. None of Wright’s structures reflects the harmony between architecture and nature better than Fallingwater. Constructed between 1936 and 1939, the residence was designed for the Kaufmann family in southwest Pennsylvania. Stretching over a 30-foot waterfall, the house is a shining example of Wright’s commitment to a unique architectural design that integrates family life with natural surroundings. While the Kaufmanns had requested a house with a view of the waterfall, Wright wanted them to instead live with the water itself, and to make the falls an integral part of their everyday life. His organic design was detailed down to the colors, with only two distinct colors used in the final building, both tied closely to the materials used—the light ochre of the concrete, and Wright’s own signature Cherokee red on the steel. Since Fallingwater first opened its doors to the public in 1964, over 4.5 million visitors have come to see Wright’s architectural masterpiece first-hand. 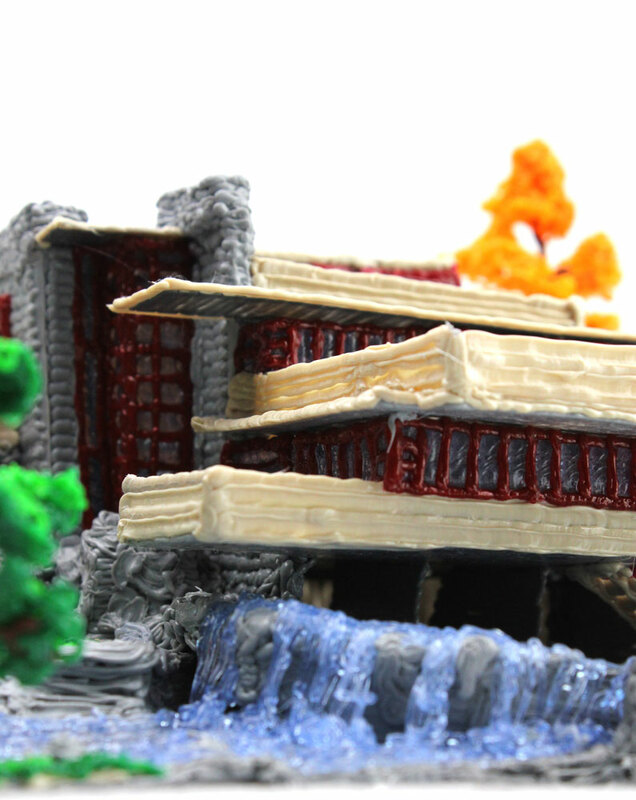 To honor this National Historic Landmark and icon of organic architecture, 3Doodler is pleased to present a unique Fallingwater theme kit for 3Doodler Create. In collaboration with the Western Pennsylvania Conservancy, the Licensed Project Kit includes detailed stencils created from the original Fallingwater floor plans, so anyone can create Wright’s masterpiece in miniature scale. The kit also includes a visual step-by-step guide and four packs of ABS plastic to replicate the exact colors of the original structure. Learn more about the the making of this kit here. Celebrate Frank Lloyd Wright’s 150th Birthday by recreating one of the most powerful pieces of American architecture. Sign up for notifications on the release of this new kit at the3Doodler.com.